Take out your calendars and start jotting down dates. This year’s events look spectacular. The fairs are scattered all over the world, so it’s time to start booking your plane tickets. Scroll down the complete calendar list. 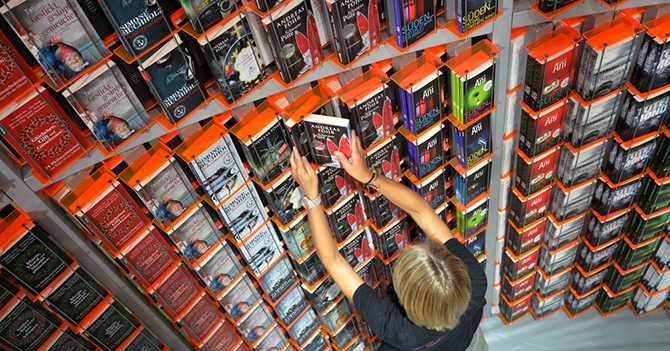 Books for Children, Young Adults, and Parents is the largest event of its kinds in Poland. A trade fair and cultural event dedicated to the promotion of reading and the development of children’s imagination and sensitivity. The program of events includes numerous discussions, literature reading nights, workshops and creative games for children. The Poznan Book Fair is also an opportunity for children to get autographs from the authors and talk with them during tens of “meet the author” sessions that take place both on publishers’ stands and the main scene. The Emirates Airline Festival of Literature is the Arab World’s largest celebration of the written and spoken word. The Festival places home-grown talent center-stage and offers local fans the chance to interact with world-famous authors, attend literary debates and workshops, and participate in competitions. The Festival’s education outreach program gives students the chance to meet their literary heroes. In 2019, the Youth Day at the Emirates Airline Festival of Literature will be a celebration of positive thinking, inspiring ideas, and motivating speakers. Open to all young people aged sixteen and over, the festival is a unique opportunity to hear extraordinary talks, engage in fascinating conversations and get inspired. The Moscow International Book Fair will highlight its culture, science, and education through the prism of the book publishing industry and underline the commonality of Slavic cultures. With thousands of book industry professionals and representatives of dozens of countries: booksellers, publishers, translators, journalists, literary agents, and TV and film producers, it is the easiest way to enter not only the Russian book market but also other markets abroad. Bursa is the third largest book fair held by TÜYAP outside Istanbul in terms of the number of visitors and exhibitors. The first fair was held 16 years ago. Up to 350 publishers and nongovernmental organizations will be attending the fair as exhibitors. The London Book Fair is the global marketplace for rights negotiation and the sale and distribution of content across print, audio, TV, film and digital channels. Staged annually, LBF sees more than 25,000 publishing professionals arrive in London for the week of the Fair to learn, network, and kick off their year of business. In honor of the LBF’s 48-year anniversary, the London Book Fair and the UK’s Publishing Association have opened submissions for the sixth annual International Excellence Awards in sixteen categories, representing the best publishing ambassadors, innovative publishing, and ground-breaking initiatives in the industry. LivreParis is a popular, festive and friendly event, ideal for families. The book fair is loved by the numerous visitors who come to discover and buy books, enjoy surprise meetings with authors and explore other cultures. Every year, the Paris Book Fair innovates and creates new themed stages, 2019’s themes are still in the works, so stay tuned to hear more on those. The Leipzig Book Fair is an important spring meeting place for the publishing and media sector and has evolved into an attractive hallmark both in Germany and across Europe. In a nutshell, the aim of the Leipzig Book Fair is to drum up more publicity for books. Held every March, it’s a massive draw for publishers, writers, readers, and journalists. An ideal communication platform, the Leipzig Book Fair provides extensive information on new publications as well as current and future trends in the German-speaking and European markets. The Bibliotheca Alexandrina is organizing its 15th Alexandria International Book Fair. Participation in the book fair is open only for publishers, members of Union Publishers, representatives of states, and public and international institutions. Distributors are not permitted at the Book Fair. However, a substantial number of publishing and printing houses from Egypt, the Arab World, and Europe are expected to participate. Kuala Lumpur International Book Fair is a 10-day event showcasing products like publication, books, publishers and entrepreneurs of local book industry etc. Book launches, seminars, conventions and so forth will be among the activities available for the book-loving community hailing from all walks of life. The Bologna Children’s Book Fair is built around children’s content today. With over 50 years of experience, the fair is the world’s premium copyright exchange hub. Discover the latest market trends, meet illustrators, and fairytale authors, or check out multimedia and licensing businesses for children’s content. Switzerland, the Fair’s Guest of Honour in 2019, will present a rich program of meetings at the fair and in town, featuring Swiss illustrators and the country’s publishing industry. The traditional appointment “A Swiss ABC” will be presented in the framework of the numerous initiatives at the Bologna Children’s Book Fair. The largest Czech event for books and literature is going to be hitting its 25th year in 2019. This fair will be featuring numerous programs for visitors: professional seminars and conferences, meetings with writers, author readings, presentations by publishers, and awards ceremonies for outstanding publishing and creative achievements. This year’s guest of honor will be Latin America, and the theme Memories. The Québec International Book Fair is an annual meeting for readers of Québec that will display products like comics, Chitra Katha, novels, graphics, merchandise, toys, games, films, and animation etc. For more information on what this year’s fair will bring, check out their website in March 2019. The Boekenfestijn Book Festival is an annual fair with up to date books, multimedia, hobby items, and miscellaneous items all under one roof sold at bargain prices. The Eurasian International Book Fair is the largest cultural and educational event in the Eurasian space aimed to unite professionals of publishing and related business from countries of Europe and Asia on one intelligent platform. The Abu Dhabi International Book Fair is the marketplace for the publishing industry in the Middle East and North Africa. Over the years, exhibitors have benefitted from venues such as the eZone, which showcases the latest in electronic media and digital content. The Illustrators’ Corner has offered a platform for local and international talent to display their work and learn from market specialists. Tehran International Book Fair is staged in Tehran early in May on an annual basis. The cultural event has turned into a landmark, momentous book fair in the Middle East and Asia after 30 editions in a row. Millions of visitors inspect the fair every year, including thousands of university students, scholars and their families. The event currently serves as the most significant cultural event in Iran. The International Book Festival Budapest will be held for the twenty-sixth time in 2019. It is recognized as one of the most important professional and intellectual forums of the region in the international world of books. The Book Festival awaits its visitors at Millenáris, which provides a rich cultural milieu, a modern atmosphere, an even smarter exhibition area, and very good accessibility. This fair represents an important business space and the maximum meeting of the book for the national and international publishing sector, which also promotes and encourages the habit of reading. It is an event that brings together like every year a large group of book professionals, as well as thousands of visitors who love the world of reading. In short, an event of reference within the sector, and an almost unmissable event for both professionals in the sector, as well as for lovers of reading. This year’s guest country will be Argentina. The Buenos Aires Book Fair is the most important annual literary event in the Spanish speaking world. Each April, more than one million readers from all over Latin America visit the premises and take part in the thousand-plus literary events organized. The fair offers a 20-day-long literary festival and cultural program complete with conferences, readings, workshops and book presentations. Paul Auster, John M. Coetzee, Henning Mankell, Ray Bradbury, Isabel Allende, Mario Vargas Llosa, and Wilbur Smith are only some of the great writers who’ve already been part of the Fair´s cultural program. The guest city of honor for 2019 is Barcelona, one of the cities with the highest traditional and cultural production. This year’s guest authors have yet to be announced, stay tuned for more. The Geneva Book Fair offers visitors of all age groups a festive opportunity in which they can exchange cultural experiences that are centered around books, as well as read, participate in heated debates and meet publishers, authors, distributors, dealers, media representatives and other people who play a role in the world of writing and literature. The Berlin Art Book Fair will be held at Haus der Kulturen der Welt and will bring together a wide selection of publishers, art periodicals and artists/authors. In conjunction, the seventh Conceptual Poetics Day will explore the imaginary border between visual art and literature. The festival is dedicated to community-building and creating a public meeting place for discourse around artists’ books, conceptual publications, and publishing as practice. The Nigeria International Book Fair is a well-organized annual book trade and exhibition that promotes reading and educational, intellectual and technological development. Its aim is to improve the reading culture in Nigeria, bring books closer to the people for better education and self-improvement and inculcate in the younger generation of Nigerians, necessary readership and authorship skills for a wholesome book society. The Thessaloniki International Book Fair is undoubtedly the most important annual event for the book and the professionals of the publishing industry organized in Greece. People from all over the world visit the TBF every year to get the latest literary news, attend its events, to meet and discuss. There are themed events, literary meetings, a festival for young writers, a translation festival, workshops, speeches, roundtables, a teenage and educational corner, and many more things. The Turin International Book Fair is one of the largest in the world of Italian literature. It’s a prestigious cultural festival, an essential international point of reference for professionals in the book industry, and an important educational project dedicated to the promotion of books and reading among young readers. It takes place in May every year in the four pavilions of Lingotto Fiere. The fair features books, periodicals, and journals published both inside and outside the country. The WBF Warsaw Book Fair in Warsaw is one of the oldest fairs in Europe. It includes meetings with authors, promotions of books, discussions, concerts, etc. Exhibitors can establish collaborations and exchange experiences. It is also a chance to discuss problems within the Polish book market. The Kingsmead Book Fair has become a significant event on South Africa’s literary calendar. This year’s campaign ‘the more attendees read, the more they know’, is mirrored in the diverse and inspired program which hopes to initiate much debate, dialogue, and discussion between the attending authors and facilitators. BookExpo America is one of the largest book fairs in North America. Exhibitors share news, and trends for the future of the book world. For visitors, it is an excellent opportunity to connect with other readers, attend panels and get their hands on new releases, and book-related goodies. Authors are usually available for autographs after they talk about their latest work, as well as come in contact with their fans, so it’s a grand opportunity for all. Author Breakfasts, special tea events or even after show drinks are extremely popular during the week of BookExpo. Bookfest is the most important bookstore in Romania and the only event of the publishing industry that has managed to gain a significant international dimension. The Lisbon Book Fair is one of the oldest cultural festivals held in the capital of Portugal. It was inaugurated in the 1930s, and its traditional location is the Eduardo VII Park, the largest park of Lisbon, which is located in the vicinity of the monumental Praça Marques de Pombal. The ‘books of the day’ side is one of the main attractions of the Lisbon Book Fair. Over 260 exhibitors from 15 countries and over 10,000 visitors will be attending Europe’s largest marketplace for small publishers and private presses. The City of Mainz has been hosting Europe’s largest gathering for lovers of private presses once every two years since 1970. Every two years for four days, visitors will be able to find what was produced in workshops on printing presses, some of which just happen to be decades old. The activities at this central meeting point always have a cultural focus as well. More than 30 cultural and book-related events inform attendees about the latest ideas and trends for the publishing of literature and art and provide entertainment as well. Visitors can enjoy a diverse program of more than 30 cultural and book-related events that inform them of the latest ideas and trends with regards to the publishing of literature and art. Tbilisi International Book Fair is an event of a big tradition organized by the Georgian Publishers and Booksellers Association since 1997. This book fair is an annual event and it’s among the few cultural events in Georgia which are of huge public interest. The interest and involvement of society in the event are increasing annually. The fair continues its steady development and offers innovations to visitors. Every spring the Madrid Book Fair is one of the main cultural events for lovers of books and literature. It first took place in 1933. Today, the over 350 stalls set up along the Paseo de Carruajes avenue in Madrid’s Retiro park not only offers the public the chance to discover the latest literary offerings but also to meet their favorite writers. Every day, the bookshops and publishing companies organize book-signing sessions featuring the most popular authors. The Dominican Republic will be the guest country of the 78th Madrid Book Fair. Firsts – London’s Rare Book Fair is the jewel in the crown of Rare Books London, which celebrates old and rare books, with special events and behind-the-scenes activities for bibliophiles. From museum-quality medieval manuscripts to modern signed first editions such as Harry Potter, visitors to the fair can literally hold history in their hands as they view and buy rare books, maps, prints, photographs, ephemera, and original artwork. Whether you are an established collector or new to collecting, exhibitors welcome you to browse their Highlights and to get in touch prior to the Fair. They will be happy to bring specific items for your inspection, and this is an excellent opportunity to make new contacts in your area of interest. The Seoul International Book Fair is an international book fair that brings together various book industry representatives and publishers from all over the world. The event aims to bring together celebrated authors and their fans in a great literary festival. In addition to books, this event showcases products such as greeting cards, stationery, travel books, maps, globes, business and financial services for retailers, professionals related to security systems etc. One of the things to look forward to in 2019 is the audiobook event where writers and readers will get to record readings of books together. BookFest Malaysia displays products like English, Malay & Chinese books, stationery, CDs, multimedia items and more. It offers a diverse assortment of the latest stationery, audio-visual products, gadgets, and IT products as well as other things at the Lifestyle Pavilion. Australian and international booksellers will have a broad, diverse and interesting selection of books, maps, manuscripts, and ephemera, including early printed books, historical accounts of travel, prints, literature, art, militaria, and children’s books, offered for sale at prices to suit all collection levels. It’s a legitimate treasure hunt so be sure to mark it in your calendar. The Hong Kong Book Fair exhibits products such as children’s and teen’s books, religious and spirituality books, stationery and art and crafts products. There are also ebooks and e-Learning resources such as ebook readers, audio-visual learning aids, educational software, learning centers, hobby goods, multimedia products and many more. More information on 2019’s events will be available on the website soon. The International Book Fair of Lima (FIL LIMA) is the largest and most important annual cultural and publishing event in Peru, organized by the Peruvian Chamber of Books. Readers of all ages can meet their favorite authors, both national and international. FIL LIMA offers a series of professional conferences, where writers, editors, booksellers, literary agents, distributors, teachers, and other book professionals find spaces for discussion and learning, as well as a favorable business climate. TOABF is a free public festival that celebrates and explores artists’ books and printed matter. It is dedicated to increasing the visibility, dissemination, appreciation, and understanding of the artist’s book and its contemporary manifestations within the visual arts field in Toronto and abroad. Cologne Art Book Fair will be inviting a broad spectrum of exhibitors, makers of artists books, publishers, initiatives, and self-publishing artists and authors, who are less presented at large commercial fairs but have contributed significantly to the artists’ books scene. Nepal is commemorating its 23rd annual international book fair. Over the years it has grown to be an important meeting point for book publishers, writers, distributors, authors, translators, and all the book enthusiasts. Nepal International Book Fair, apart from the important event for book business is also a manifestation of creativity, reading culture, expression of ideas, sharing experience and expertise, among many. The fair will be a unique opportunity for exhibitors and visitors to explore, assess and understand the current demand, preferences and market trends in the publishing sector. The Beijing International Book Fair is the largest publishing industry event in the Asian Market, and considering China is the most populous country in the world, that’s a pretty huge market, with a huge opportunity. The Asian markets are starved for content to not only translate into their local language but also to purchase the rights to distribute English language content. Over two hundred thousand visitors made up of members of the trade and members of the public come to the show annually to see books from fifty-six different countries. The Ghana International Book Fair is a platform where both local and international book industry players come together to trade books and negotiate deals. The public gets the opportunity to have access to a variety of good books and buy them at highly discounted prices. The Rio Book Biennial is the largest literary event in the country, a great gathering where books get to shine brightly. Readers get the opportunity to approach their favorite authors and to meet many others. For eleven days, Riocentro hosts the festival of culture, literature, and education. The public can participate in debates, chats with public figures and writers, and take part in cultural activities that promote reading in designated areas all over the premises. The Rio Book Biennial is a fun, diverse and dynamic event for the whole family! Be sure to check out the Literary Café, the children’s activity space EntreLetras, the #SemFiltro arena, the Geek & Comics space, meetings with authors, and other literary forums, for more information check out the Rio Book Biennial program page. The National Book Festival is a public book event in the United States organized and sponsored by the Library of Congress. It was founded by Laura Bush and the Librarian of Congress James H. Billington in 2001. Its main purpose is to celebrate books and the love of reading! Jozi Book Fair display products like an exhibition of books and related materials by publishers and NGOs, A special programme where JBF Book Club members talk about their favorite authors, books, and much more followed by delicious food etc. Book Fair Azerbaijan is the pre-eminent event for the business of books in all formats, and the products, services, and education that supports the buyers and sellers of books. A full range of products and services, educational programs, and networking opportunities make this a must-attend event for book industry professionals. The Latvian Book Fair is an event for publishers, suppliers, bookkeepers, wholesalers, libraries and industry associates. This event will be showcasing the latest book presentations, offer meetings with authors, autographs and seminars. It’s a great opportunity as one can meet writers and listen to lectures given by authors. There will be practical, positive workshops on how to understand the causes of behavioral problems in children and adults with the Uzvediba.lv workshops, as well as a book exchange point. IIBF is an annual book exhibition organized by IKAPI. It was established in 1980 under the name of Indonesia Book Fair (IBF). IIBF is a meeting point, a strategic and prestigious event for exhibitors to promote literature, art, culture, and all other creative content, through rights licensing and other means of cooperation. The fair is a unique opportunity for the book publishing industry in South Africa to collectively position itself as a relevant, inclusive and important part of South Africa and Africa’s development. It is an opportunity to interact and engage with all links in the value chain, with both the government and the public at large. In turn, South Africans from all walks of life will be able to access the diverse content produced by its world-class book industry, listen to, mingle and debate with a wide variety of authors. The Manila International Book Fair gives book geeks the best work that’s available in the market for reasonable prices and with viable alternatives. This event features bestsellers, textbooks, graphic novels, and even educational material. The MIBF aims to spread the love for reading among the Filipino public, and judging from the generations of visitors that keep coming back to the book fair each year, it has been successful in doing so. Every year, MIBF pays tribute to local teachers as part of the celebration of National Teachers’ Month and present them a special gift as they enter the exhibition hall. The Göteborg Book Fair is the most important event in Scandinavia for people in the literary business. It is also a manifestation of arts and culture, a four-day long literary festival, a tribute to freedom of expression and a place for readers and writers to meet and celebrate the power of stories. It started in 1985 as a conference for librarians with 5,000 visitors the first time, the fair now brings together around 95,000 teachers, librarians and book lovers every year. The 2019 Göteborg Book Fair will include the themes: South Korea, Gender Equality and Media and Information Literacy (MIL). The book fair is a cultural, educational, enlightening and professional event that reflects the civilized image of Jordan and enhances civil interaction between Jordanians and the Arab and international worlds. Nairobi International Bookfair aims to serve as a reflection of the society from which the writers are drawn. It is, therefore, our duty to ensure that society is able to communicate effectively on issues that confront it and do so through books and to enhance a peaceful coexistence amongst each other. TIBF is one of Asia’s leading publishing trade shows. As the center of the publishing trade, TIBF is a core venue to negotiate publication rights, book imports/exports, and other related business with key publishing professionals in Japan and Asia. ZIBF is one of Africa’s top book and publishing trade fairs, showcasing the largest and most diverse annual exhibition of books, magazines, journals, CDs, DVDs as well as printing and publishing technology in the continent. Frankfurter Buchmesse is the world’s most important fair for the print and digital content business, as well as an outstanding social and cultural event. For five days, publishing experts, writers and cultural enthusiasts from all over the world come together at the fair in Frankfurt, where they network, talk, make decisions, get inspired and join together in celebration. The International Book Fair in Krakow is an iconic event in the city, a promotion zone for good books, a venue for meetings and hangouts, exchanges of thoughts and discussion. There are workshops and panels dedicated to the publishing and book industry, meetings with authors in publishers’ stands and in seminar rooms, and publishing offers from Polish and foreign publishers and much more. The Helsinki Book Fair is the most important event for lovers of literature and book industry professionals in Finland. It brings together the brightest stars of Finnish literature and the most promising new talents. The Helsinki Book Fair features 15 program venues and more than 40 international literary guests. The program consists of more than 800 debates and interviews, In addition to authors, speakers include politicians, artists, journalists, and prominent figures. The total number of performers is more than 1,000. The themes of this year’s book fair include freedom of speech, songwriting, and American literature and culture. So make sure to keep them in mind as destination stops on your travels! The Antwerp Book Fair is a large trade fair for books, held annually in Antwerp Expo, Antwerp, Belgium. It is organized by Boek.be. All Flemish and Dutch publishers, and several foreign language distributors present their newest books at the fair. FILSA, International Book Fair of Santiago, seeks to promote the free circulation of ideas, promote the dissemination of books, the promotion of reading; and the appreciation of the book as cultural support. This cultural agenda constitutes a platform for the exchange of views and observations that make up for contemporary society, thus constituting the backbone that gives life to these books. Liber is one of the largest international gatherings for books in Spanish, providing plenty of business opportunities for publishing firms. It is the main hub for business and professional exchanges in this industry, LIBER is open to all book-related sectors, with a special focus on digital content, new publishers, self-publishing, and copyrights. Each year the International Belgrade Book Fair attracts an increasing number of publishers from former Yugoslavia and the world, soon transforming into the largest meeting point of publishers from Europe, America, Asia, and Africa, second only to the Frankfurt and Warsaw Book Fairs. Belgrade became the place where Eastern and Western cultures meet. Art Book Fair Berlin is one of Europe’s premier festivals for contemporary artists’ books and periodicals by artists and art publishers. Featuring 200+ international participants and a series of public programmes: discussions, readings, presentations, performances, and artworks that explore the perimeters of today’s art publishing. Editions/Artists’ Books Fair has been New York’s premier showcase for the discovery of new and contemporary prints, multiples, and artists’ books for 20 years now. Renowned for its cultivation of an international community of publishers, E/AB Fair provides a platform for their growth in the art market. Each year, the fair presents a thoughtfully curated exhibition of works by hundreds of emerging and established artists and an informative program of talks. The Long Night of Books will be held on the 6th of November. The Ministry of Information organizes the Riyadh International Book Fair to spread cultural and intellectual knowledge to all the segments of society and to invest in inviting great writers and intellectuals to the exhibition. The Ministry annually organizes a diverse cultural program that contains several seminars and lectures and has been carefully selected by a specialized committee of experts. CCBF has closely embraced the theme of ‘Being with the World and the Future’. The fair provides a leading copyright exchange hub for children’s books from all over the world, carrying out the concept of the exhibition professionally and excellently. The fair plays an important role in promoting Chinese children’s literature internationally and reading culture among young children. Salon Du Livre De Montreal focuses on originality and variety: dedications, quizzes, workshops, intimate interviews, conferences, roundtables and a full range of recent books and backgrounds presented in the booths of publishing houses that unite to create a host of magical encounters and moments between authors and their readers. Slovene book fair and festival is a traditional Slovenian trade fair and festival for the books that have been written in Slovene language and published in the previous year. It includes presentations of new books, exhibitions, a training programme, debates, presentations for schools, and shows for children. It is the largest fair of its kind in Slovenia, each year attracting around 100 publishing houses and thousands of visitors. At the event, the association also bestows the Best First Book Award, the Best Book Design Award and the Schwentner Award for outstanding publishing achievements. The Publishing Academy features discussion and debate on current issues affecting the books and publishing sector. The most outstanding meeting of the Spanish-language publishing world awaits you in Guadalajara. Authors, literary agents, librarians, booksellers and more than 2,187 publishing houses from 47 countries visit every year. This year’s guest of honor will be India. The SIBF is a valuable opportunity for parents to ignite in their children a fondness for books and reading, and inspire curiosity among them to learn about the world they live in. This 11-day event will witness participation of leading Arab and international writers, artists, intellectuals, cultural personalities, chefs and performers. Featured programmes will include discussions, debates, literary seminars, poetry readings, workshops for children and adults, cultural shows and edutainment exercises. This edition of the SIBF will have over 1,000 publishers from around the world. The Malta Book Festival held yearly, is the most important book event in the Maltese calendar. The event currently has an attendance rate of 30,000 people and the participation of more than 40 exhibitors. Its cultural programme features well over 50 events in book launches, book presentations, poetry readings, meetings with authors, conferences and seminars. The book fair Bibliotéka represents a traditional place for the meeting of those who write, illustrate, translate, publish, print, sell, lend and read books. Through the support from domestic publishers as well as the interest of international publishers, the fair also garners a great interest from professional visitors as well as from the general public. The trade fair is the place for meeting and establishing new trade and social contacts. The International Book Fair for Children and Youth has represented the fundamental place for the evolution of authors and illustrators that make it possible for children and young people to find books. For more than three and a half decades, the primary task of the International Book Fair for Children and Youth(FILIJ) was to be a forum open to dialogue and experiences around books and reading. The Istanbul Book Fair is Turkey’s largest book event, has been held annually since 1982. This event aims to bring publishers, readers, writers, editors, scholars, poets, translators and academics on a platform that celebrates the power and impact of the written word. You can get discounted books, attend book-signings, listen to author talks, and get to meet authors from around the world. The Dublin Book Festival is one of Ireland’s most successful and vibrant book festivals, running since June 2006. The annual public festival showcases, supports and develops Irish publishing by programming, publicizing and selling Irish published books, their authors, editors, and contributors – all in an entertaining, festive, friendly and accessible environment that reflects the creativity and personality of the Irish publishing sector and its authors. The fair’s program is based on the intercultural affirmation of internal and European regionalism, upholding and promoting the specifics of literary culture. Never biased, always in a dialogue, both the makers and guests of the fair meet in Pula, the marginal point of the social reality that does not give up on the variety of shared ideals – just like freedom. It’s the BEST in literary fiction, scholarly and popular-science books, with 20 participating countries, 30,000 visitors – including professionals related to book publishing, literary critics, and general readers, who appreciate good writing, and over 300 major publishers, book distributors, and small presses assembled in a single space. There’s also an international forum where contracts are signed and contacts established, a meeting place for authors, publishers, distributors, critics, agents, and translators. As well as an extensive program of events spotlighting the key features in the book industry, seminars and round-table discussions, meetings with famous authors, presentations of the latest books and unique editions. Più libri più liberi is the only fair in the world dedicated exclusively to independent publishing where every year about 500 publishers, coming from all over Italy, present to the public the news and their catalog. Five days and over 600 events in which to meet the authors, attend readings and musical performances, listen to debates on the issues of the sector. This book fair represents a major asset in the panel of Bulgarian cultural events. National publishing houses, as well as foreign exhibitors, display their literary production and exchange views during the 6 days event, which takes place just before the Christmas holidays. This book fair is one of the most important channels of direct communication between writers, publishers, and intellectuals to see what is new in this is a field, as well as being a prominent cultural event pursued by the cultural and academic circles and the media. It includes children’s books, books covering diverse subjects from academic, cultural, scientific, fiction, educational and literature to religion alongside electronic books. A wide range of Arabic and International publishing houses participate in this event on a yearly basis. The Karachi International Book Fair is an annual book fair held in Karachi, Pakistan. It is the largest book fair in the country, preceding the Lahore International Book Fair. It provides a platform where publishers, booksellers, agents, cultural organizations and press can meet, exchange ideas and identify business opportunities. Karachi International Book Fair will provide an opportunity for book lovers and students to see the books of leading world-renowned publishers on display and purchase books of their choice at a good discount.